Whew! Time For A Rest! I don't know about you all out there, but the pace of activities in Costa Mesa over the past couple years has been so frenetic and frustrating that sometimes it's important to just throttle back a little, take a deep breath and contemplate the future. This is one of those times for me. For the next few days I'm going to turn the Cauldron down to a slow simmer and just relax and TRY to not think too much about Costa Mesa's future. Yeah, right! Anyhow, I'm going to try. So, while I'm not going to completely ignore my responsibilities, it might take longer for your comments to appear. Be patient. Don't just keep hitting that "send" button. I will see them eventually. Before I go, though, I wanted to share something with you. 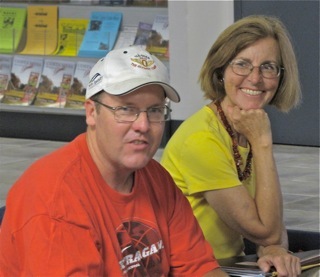 I started blogging in July of 2005 and shifted to this format and host, Blogger, in November of 2006. One advantage of that change was that I could post your comments. Of course, if you've been a regular reader, you know that's been a mixed blessing. My goal from the very beginning was to present my views to stimulate discussion of what I thought were important issues in our community. The new host gave me a way to measure that - your comments. Recently Blogger changed the interface I use to post these things and, as a result, began showing me an interesting number - the cumulative number of Page Views since November, 2006. I had intended to mention this earlier this week as the counter crept toward the 800,000 number, but got distracted by the news of the day. Here's what that number looked like as I begin to post this entry. 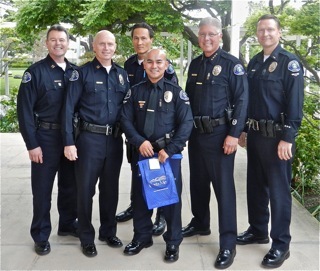 Next Wednesday, September 26, 2012, Costa Mesa Police Officer Kha Bao will receive a special recognition for Traffic Safety Excellence by the California Office of Traffic Safety. The ceremony will take place in the Emergency Operations Center adjacent to the Police Headquarters at 99 Fair Drive and begins at 4:00 p.m. Members of the public are invited to the ceremony. You will recall that Officer Bao has been recognized several times recently for his prodigious accomplishment of making 432 drunk driving arrests during 2011. 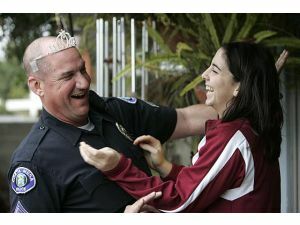 He and four other Costa Mesa Police Officers achieved more than 100 DUI arrests each during that year. You can read what I've previously written about Officer Kha Bao by typing his name in the search box at the top of the page and then hitting Enter. At a small gathering of mostly true believers Thursday night at the Costa Mesa Neighborhood Community Center, city council candidates Sandra Genis, John Stephens and Harold Weitzberg listened intently to the questions about their views on important issues and answered every one crisply and with conviction. You can read Mike Reicher's coverage from the Daily Pilot HERE. 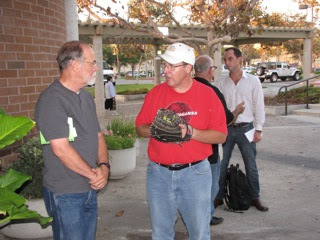 Because the late cancellation of the Costa Mesa United Forum left a big hole in their schedules, the three candidates decided very late to hold a small, casual gathering and hoped to attract some new folks to their campaign. Even though they didn't really advertise this event - I barely got my post about it up and running yesterday, they achieved those goals. My count showed a maximum of 30 people in the lobby of the Community Center, of which a half-dozen acknowledged they had no affiliation with either the host organization, Costa Mesan For Responsible Government (CM4RG) or any of the individual candidates. 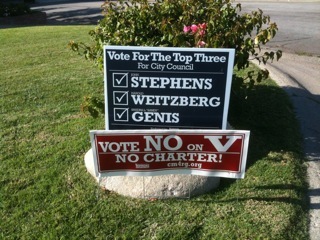 It was my impression that each of those people left feeling strongly that Stephens, Genis and Weitzberg should be considered solid candidates and will receive their support. Questions posed to the candidates during the nearly two-hour meeting ranged from concerns about Banning Ranch, the 19th Street Bridge, the process used to have a diseased tree removed and Jim Righeimer's Charter. It was interesting to see some folks I would have anticipated being strongly in the 3M camp attend this meeting and expressing admiration for the candidates and their positions on issues. And, for the small size of the group, I was impressed with the number of checks being written to candidates. I have no idea how much money was raised, but a lot of checks were written. 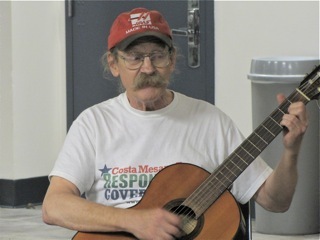 The group was even entertained by the ubiquitous Terry Koken, who strummed his guitar and his banjo and sang little folk ditties appropriate to the moment. 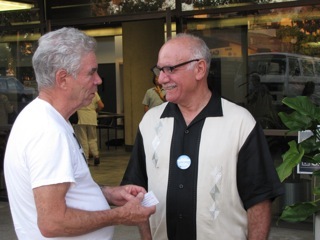 In an earlier post I mentioned an unsavory exchange between activist/council candidate Harold Weitzberg and a grumpy old fella from Mesa North - a guy I've referred to variously as The Mouth From Mesa North and Costa Mesa's racist laureate. Well, here's a little 3-minute video clip that shows that exchange from last Tuesday's council meeting. And, just so things are clear, here's the just over 9 minute tape of the imported shill for Jim Righeimer's Charter, Kevin Dayton, that started this whole thing. I don't talk much about The Mouth's pathetic blog. Although, if I wanted a one-stop-shop for news about black on white crime world-wide his is the place to visit. He's become a major cheerleader for the 3Ms - there are actually 4 Ms on the ballot, but everyone is ignoring Al Melone. The Mouth puffs and pontificates, extolling the virtues of his favored three - which is his right, as misguided as it might be. So, to set the record straight - so to speak - I find these bizarre shows of attention from this chest-thumping Neanderthal bully to be completely unwelcome. 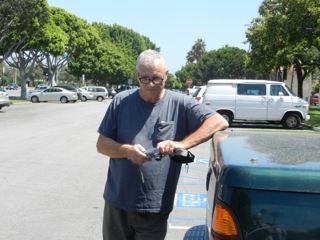 I'm a VERY HAPPILY married - 45 years and counting - heterosexual man. The Mouth will have to visualize someone else in his "Deliverance-on-the-log" fantasies. Ewwwww! He will have to find another subject of his pent-up, prurient passions - perhaps in the back woods of West Virginia. Now, if you'll excuse me, after having written about him, I have to go disinfect my entire blog! Since they already had the time blocked off for the now-canceled Costa Mesa United Forum, Costa Mesa City Council candidates Sandra Genis, John Stephens and Harold Weitzberg have announced that they will holding a VERY CASUAL informal gathering Thursday, September 20th (today) to meet, greet and chat with any residents who may be interested in their views. COMMUNITY CENTER LOBBY AT 6 P.M. They have arranged to use the lobby of the Costa Mesa Neighborhood Community Center, 1845 Park Avenue - at Lions Park, beginning at 6 p.m. and will stick around for a couple hours to be available to visitors. Again, I stress that this is a VERY CASUAL event, with no structured program, no moderated questions - just three serious candidates using time they had previously set aside for the canceled forum by making themselves available to the voters of this city in a casual setting to answer questions about their positions on the many important issues facing our city today and into the future. 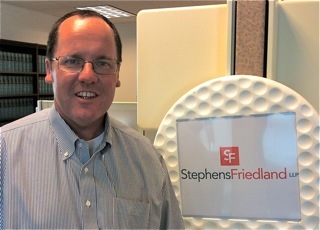 Stephens tells me that he's going to bring one or two of his daughters, some balls and bats and his "fun bag" loaded with Wiffle Balls, Spongie Balls and other stuff. As I said, this is intended to be a casual affair. See you at 6. 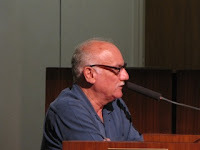 Imagine my surprise when I arrived at City Hall last night for the council meeting an hour early only to find ex-Planning Commissioner and soon-to-be ex-Sanitary District Board member and new President of the Costa Mesa Taxpayers Association - the OC GOP shill organization in town - Jim Fitzpatrick, waist deep in political signs piled all over the porch beside the entrance to the auditorium. Of course, those signs were for his pals, the 3Ms and others. He got there early so he could purloin the site normally occupied by the folks from Costa Mesans For Responsible Government, CM4RG. He pulled the same kind of juvenile stunt many months ago when he arrived very, very early to a council meeting so he could occupy the seat I usually use. Some people just never outgrow puberty. The meeting, which I thought might wrap up by 6:30 or 7:00 p.m, tops, dragged on until just before 8:00. Part of the reason it took so long - with only one item on the agenda - was that our part-time, part-time mayor, Eric Bever finally decided to show up. He didn't make for the roll call at the Closed Session, though. The best he can do now is to make it five for five as his tenure on the council - thank goodness - comes to an end. There are four more meetings left this year - two in October and one each in November and December. No matter what happens in the November election, our council dais will be Beverless beginning in January. Anyhow, Bever stretched the meeting out by continually interrupting speakers during Public Comments to add his two cents worth. Not only is it inappropriate to interrupt a speaker int the middle of his or her presentation, but it's just plain rude. I guess he just never learned courtesy when he was growing up. During the Public Comments resident John Feeney included in his little presentation a criticism of council candidate Harold Weitzberg for his acknowledgment of "shouting down" a speaker before the council this spring. 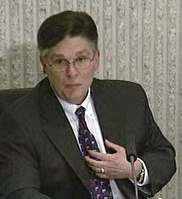 Weitzberg then rose to defend himself, citing the person in question - imported charter shill Kevin Dayton - who had been given more than 10 minutes to speak while all other speakers were held to 3 minutes. As Weitzberg's time expired he returned to his seat but Mayor Pro Tem Jim Righeimer - who had been in charge of that particular meeting and who allowed Dayton to exceed his time - just had to chime in with an explanation. 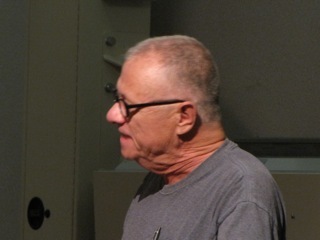 Weitzberg returned to rebut his comment and the next speaker waiting his turn - a grumpy old fella who lives in Mesa North - yelled across the room from the other speaker's podium at Weitzberg to "shut up and sit down!" Things almost got REALLY nasty until councilwoman Wendy Leece demanded that the mayor take charge of the meeting. A curious anomaly occurred last night. Several council members praised Bever for his role in rallying officials from adjoining cities to fight off the onerous toll road scheme planned for the I-405 expansion. 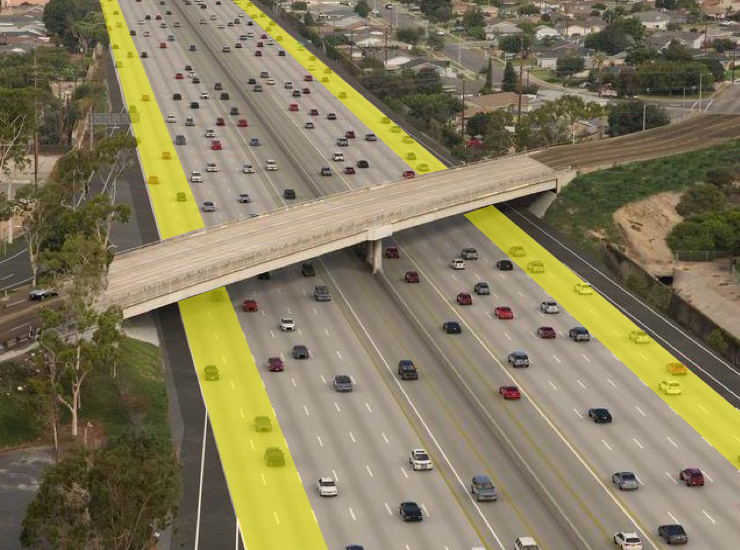 Monday a major committee of the Orange County Transportation Commission Board voted unanimously to recommend Alternate #1 to the full board, which adds only one lane each way on the expansion project. BEVER - "GOING FOR IT ALL"
Righeimer, for his part, gave us another of his long-winded rants during the comments segment, and demonstrated again that he has a very difficult time sorting fact from fabrication. For example, during his little fit of pique he again criticized previous councils for "blowing through $33 million in reserves" - conveniently forgetting that those councils had the foresight to accumulate those very reserves for emergencies - and said those councils refused to lay anyone off. Of course, THAT IS A LIE! The previous council, when the economy began it's free fall in 2008, took many measures to head off catastrophe, including inducing retirements and other measures that cut the headcount approximately 20%. Of course, it's inconvenient for him to remember the truth because the truth doesn't work in his equation. 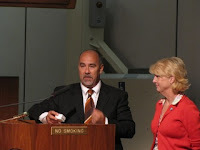 And, in another master stroke of falsehood fabrication, in response to speaker Eleanor Egan's scolding of him and his peers on the dais for "destroying" her city, he told the audience quite directly that the Costa Mesa Police Officers Association is responsible for destroying the city! The man has no shame! 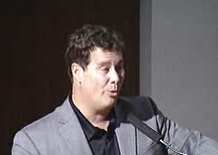 During his segment CEO Tom Hatch told the council and audience that an "Elections Team" had been formed in City Hall to deal with questions/problems during this election season. The first order of business is the apparent removal/destruction/misplacement of campaign signs. A summary of what is and is not permitted will be placed on the City web site and staff will be working to resolve any issues quickly. In response to an earlier question, Hatch said he will meet soon with Police Chief Tom Gazsi to clarify the School Resource Officer issue and report back to the council. Apparently he was not ready to get into a discussion of why officer Jess Gilman is back working as an SRO - trying to cover four schools, by the way - instead of remaining on patrol. Hatch then presented councilwoman Wendy Leece with her five-year pin - she actually has six years in as a council member - and did so by heaping much praise on her for her dedication, hard work and tenacity. He said nobody on the council works harder to help residents. He also thanked her for helping HIM during his tenure with the city. The comments were much deserved but probably cost Hatch points with the other four council members. Several items were pulled from the Consent Calendar, one of which dealt with the item involving the 7-Eleven Store on Adams Avenue. Once again, we had a lengthy discussion about liquor licenses in the city and how little control the city council actually has over this issue. One speaker, former Parks and Recreation Commissioner Bob Graham, asked if being a Charter City would resolve it. The answer was NO. Councilman Steve Mensinger told us he's "not a fan of 7 Eleven to start with..", without further explanation. Perhaps it's because what was one of the great American success stories is now controlled by a Japanese holding company. It just seemed like an odd statement coming from a council member about a company trying to expand its business in Costa Mesa. Item 5on the Consent Calendar is an RFP for Roadway markings and Traffic Sign Maintenance. It turns out this is actually a request for re-advertising this item, which apparently was incorrectly announced previously in what Hatch referred to as a "staff error." Righeimer immediately pounced on that like a jackal on a carcass and said, "We have 400 people on staff. Who did not do this correctly?" Clearly, he was out for blood on this fairly minor issue. Bever shut the door on him, but it demonstrates one more time his impatience on the dais and that he will praise staff members with one breath and castigate them with the next. The final item discussed - and the only item on the agenda beyond the Consent Calendar - was the decision to cancel the November 6, 2012 City Council meeting due to the national election. I suspect that staff recognized the reality of the situation - that several members of the City Council will be too busy either partying or crying that night to give city business a fair shot. So, that meeting will be canceled. SHOULD HAVE BEEN HOME BY 7! This meeting could, and probably should, have ended an hour earlier. It took more time because some council members just had to pontificate about pet issues and because Bever just had to interrupt the flow of events with his petty, insignificant and rude interruptions of speakers before the council. C'mon January! Last night the power elite of the Orange County Republican Party (OCGOP), members of the Central Committee, met to determine which brave souls and/or issues on the ballot in November were worthy of the Central Committee's endorsement. Like most Republicans in Orange County, I'm not one of those well-connected folks that form the pancreas of the of the local Republican Party - those who help the body-politic process and digest the political information available to it to, eventually, pass on through the system the blessing of candidates who are deemed sufficiently "right-thinkers" and will toe the party line in important local votes. No, I'm just one of those guys who benefit from, or suffer the consequences of, the actions of those who are an integral part of The Party alimentary canal. As is the case with many such organizations, unanimity is a rare thing. Reading about the hijinks at these meetings as posted on blogs and on social networking sites can actually make for some entertaining reading. That was the case with the meeting last night. Chris Nguyen, who posts on the OC Political blog - the site that has picked up the slack as the old Red County blog has gone through a slow, painful death - posted a running commentary of the event last night. You can read his running commentary HERE. As a true Republican, I find myself wondering how I could get the movie rights for these things - truth being stranger than fiction. 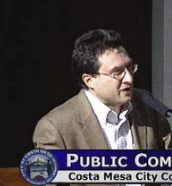 "7:31 PM: Baugh speaks of the Costa Mesa Charter Amendment being a priority of the Republican Party." In case there was ANY doubts about the attempt by the OC GOP to influence our local politics and the way our city is governed, that simple little statement of fact should erase them. The fact that Baugh feels Jim Righeimer's Charter is a "priority" for them is quite telling. 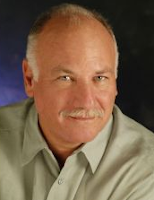 I've written many times in the past about the relationship with OC GOP Chairman Scott Baugh and his pal, Costa Mesa Mayor Pro Tem Jim Righeimer. To say they were tight would grossly understate the relationship. And to say the OC GOP was trying to control every element of governance in our city would grossly understate that fact. If you look down the entire list of endorsements approved by the OC GOP Central Committee, HERE, you'll see many familiar names. 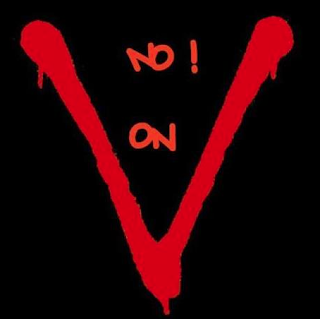 In every race that affects Costa Mesa - City Council, Mesa Consolidated Water District, Costa Mesa Sanitary District and Jim Righeimer's Charter, Measure V - the Central Committee has endorsed their fair-haired children. And you can be certain that we will soon see slate mailers funded by the OC GOP in our mailboxes touting those candidates and issues. In my opinion, the interference by the OC GOP in our local races - theoretically non-partisan positions - is unacceptable and an egregious abuse of their power. That being said, we know it's happening and it's important for all the voters of this city to understand that outside influences are attempting to take over our city. We can figuratively give Baugh and his pals a big raspberry on November 6th by voting for candidates other than those endorsed by them and by rejecting Jim Righeimer's self-serving Charter. AND NO "Ms" FOR ME!